I love it when relatives introduce me to new restaurants, especially good Taiwanese ones, and my relatives from NY picked Slack Season Noodles as the place for a casual lunch to meet up. I probably could have passed by the shop a hundred times (next to Yogurt Art) and not have the urge to wander in for a meal, as the subtle exterior and sign hides the modern meets traditional Chinese and dark wood interior, and cheap and delicious food inside. I often get asked to recommend restaurants (Top five favorites? Gluten-free? Romantic on New Year's Eve? Taiwanese but not Din Tai Fung? ), and now I have another one to add to my list for the last question. 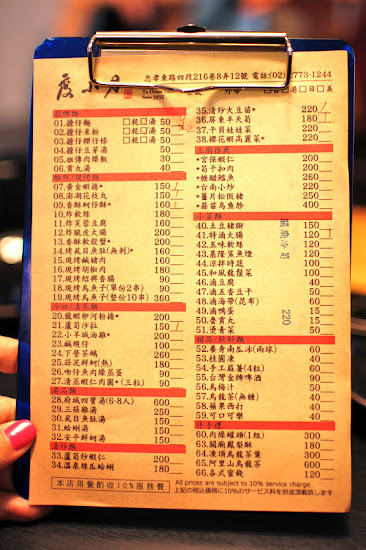 The menu is check-off-the-box, but ask for the English menu and you shall receive. With pictures for each menu item too! Just match the number from the menu and use it to check off the matching line item. 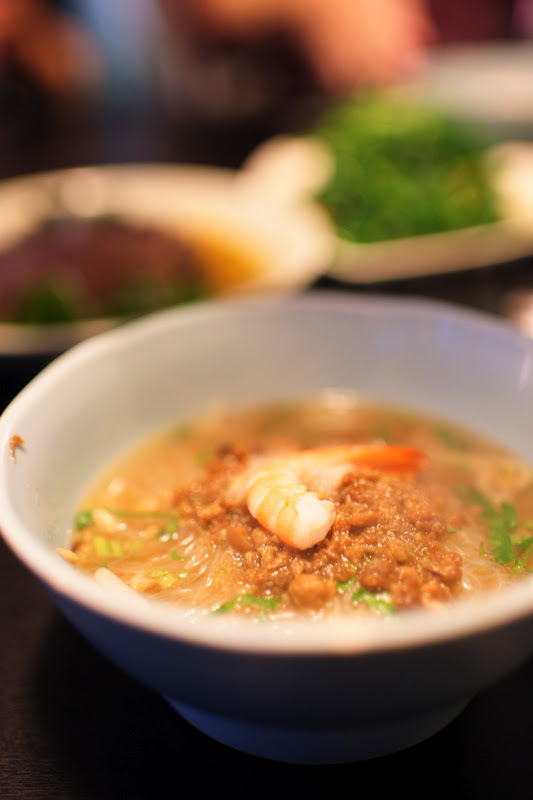 Slack Season Noodles originated in Tainan, with a street vendor selling dan dan noodles, a minced pork noodle soup. The restaurant's name comes from the shop's origins- when its founder, a fisherman, created the noodles to make a living during the fishing "slack season" and they became so popular he started selling them full time. Over one hundred years ago in 1895! (Though the menu says 1894, the shop's sign says 1895). 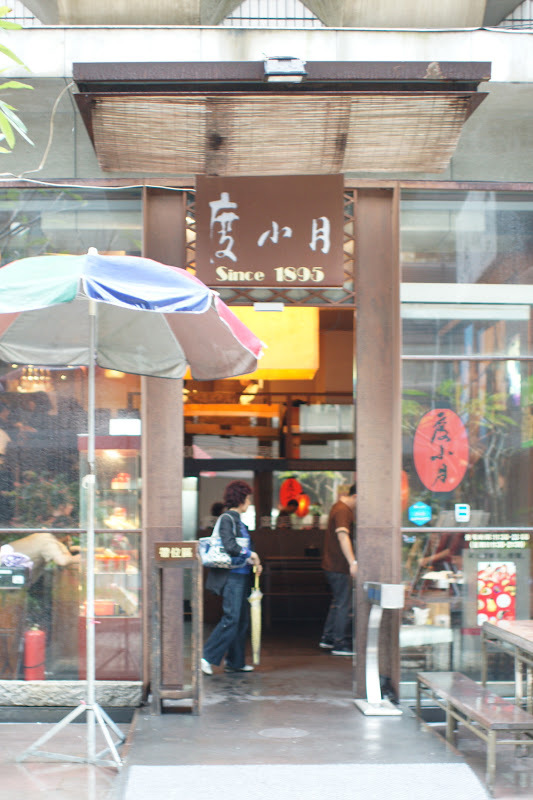 Now Tu Hsiao Yueh has expanded to restaurants in Taipei from Tainan, offering affordable Taiwanese eats, like tan tsi mian, lu rou fan (braised pork rice), fried oysters or smoked shark, with nods to its origins with chefs preparing the noodles in the front corner of each restaurant at an old school, street vendor-like area. 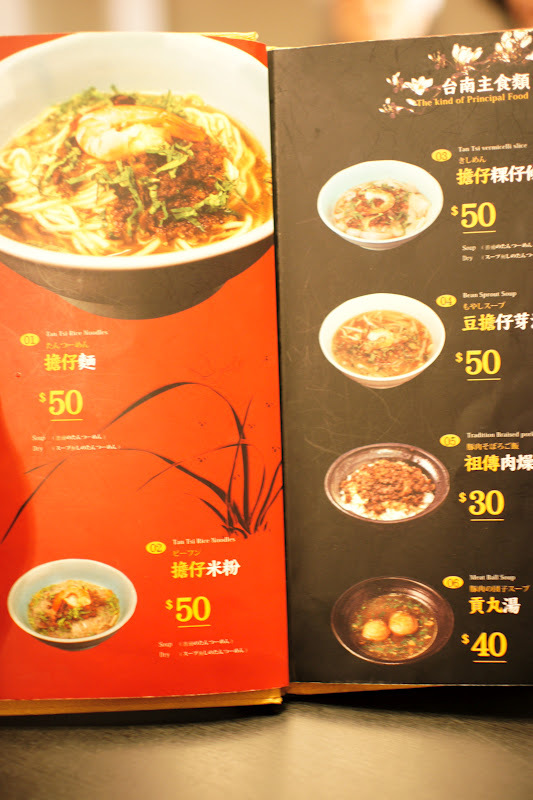 Each person got a bowl of tan tsi noodles (or dan zhi or dan zai (oh how romanized spellings drive me crazy) (NT$50). Some chose the classic oil noodle, and I chose the thin vermicelli rice noodle. 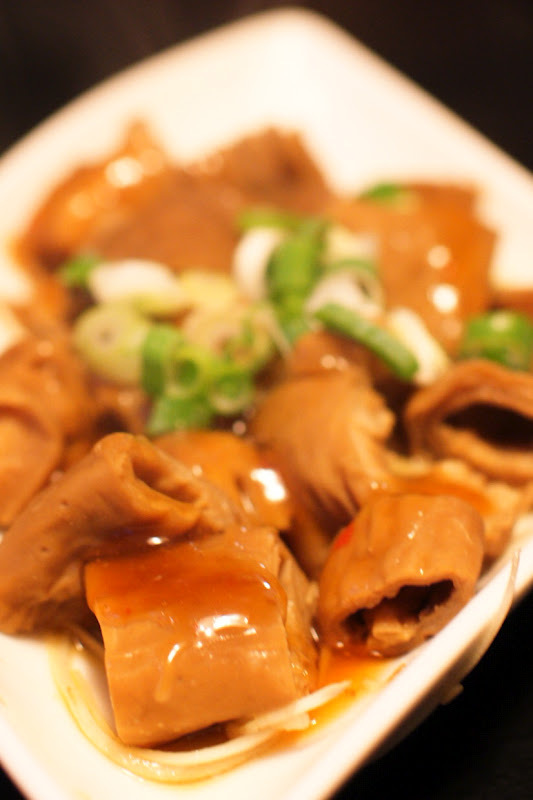 You can also order it with or without soup, or add on things like duck egg or meatballs. The flavor is light, but it's not plain, with flavors of garlic, cilantro, vinegar and Taiwanese shallots infused in the broth and meat sauce. For my relatives, this is their equivalent of chicken noodle soup, their comfort food. 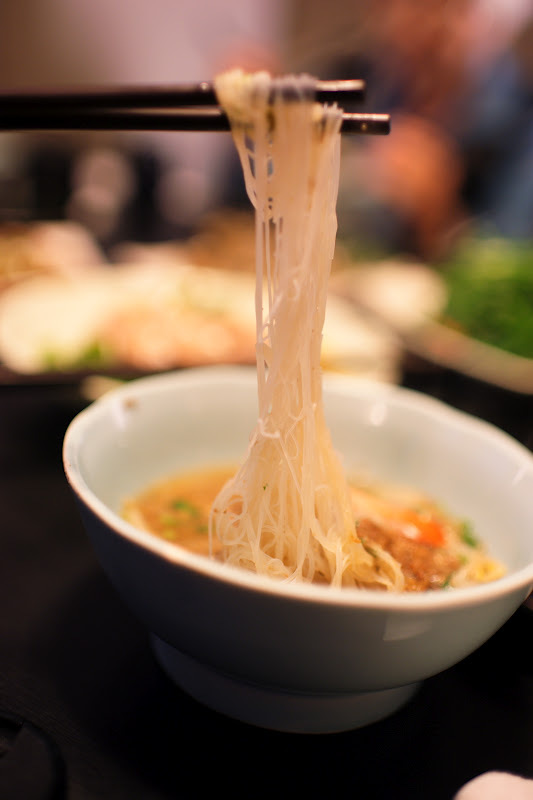 The bowl isn't big enough to fill me up, like beef noodle soup or pho, but is just enough to slurp up and accompany a taste of everything on the table, which includes a lot of traditional Tainan style dishes. Everything is fresh and delicious, and luckily we have a big group so we can order plenty of things to share family style. I love fried oysters so the crispy oysters (NT$160) hit the spot by coming out hot and yes, crispy, without being fishy or greasy, so I keep popping the bite sized babies in my mouth. as well as these addictive golden shrimp rolls (NT150) which are similar to Thai shrimp cakes, with fried minced shrimp and fishcake. My cousins and I wanted to get dessert elsewhere (tang yuan at Jiu Ru), but my aunt and uncle insisted on ordering the unique desserts- pumpkin ice cream, jelly and sesame mochi. 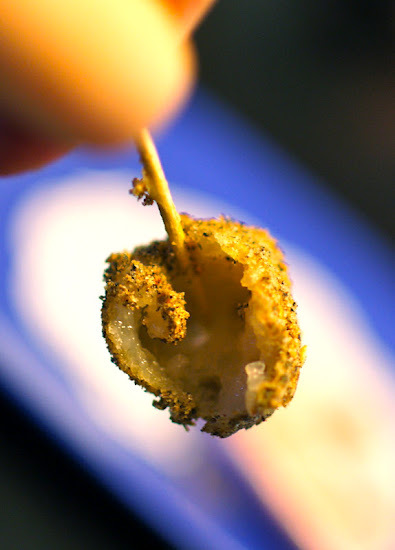 My favorite out of the bunch was the crisp mochi covered in a layer of sesame powder. I might have been late to the game in finding out about the underrated tan tsi noodles as a must-eat in Taipei, but it holds a lot of nostalgia for many. So add this to your to-do list when in Taipei, or take the high speed rail to the original shop in Tainan. I tried this place on my first visit to TW 5 years ago. It was real good... but on the expensive side. Smoked shark is good here. Agreed - it's a bit expensive for locals, but good to bring visitors to Taiwan who may not be used to the sanitary conditions of night market stalls or the many dirty but good hole-in-the-wall type restaurants throughout Taipei. I haven't been to this shop, but have eaten at the original in Tainan (for supper or xiaoye as is the custom). Recently, I was happy to find that they have opened a shop in the new foodcourt at Taoyuan Airport's Terminal 2. We had a longish wait to pick my my Dad, and I happened to be hungry, so was happy to have something nicer than hamburgers and chips. People, please do not eat shark fin. There is a whole campaign against it, but sadly nobody is paying attention inside Taiwan. 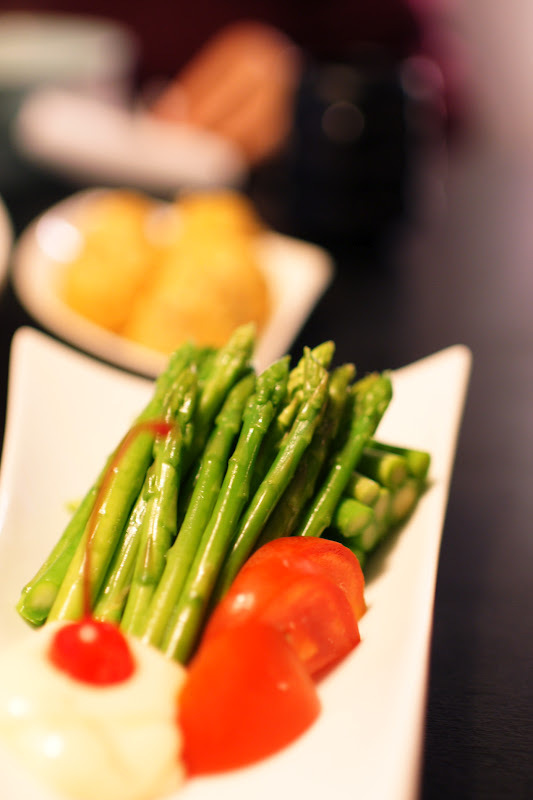 Joan, I just posted on my visit to Du Hsiao Yueh! Looks like I should have come with a bigger group so that I could try all the other items on the menu! The shrimp rolls look bomb! No matter how nice is the food. Don't ever visit Du Hsiao Yueh 度小月at yong kang street. Staff service is the most terrible bad bad bad. I´ve been there twice now. The food is okay, but frankly the price is way too high compared to other shops like that.